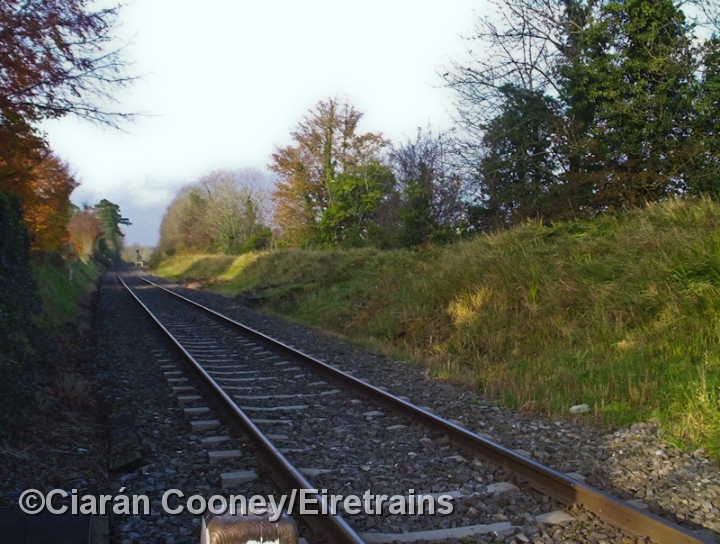 Multyfarnham Station, Co.Westmeath, is located between Mullingar and Edgeworthstown on the Midland Great Western Railway's Dublin to Sligo line. 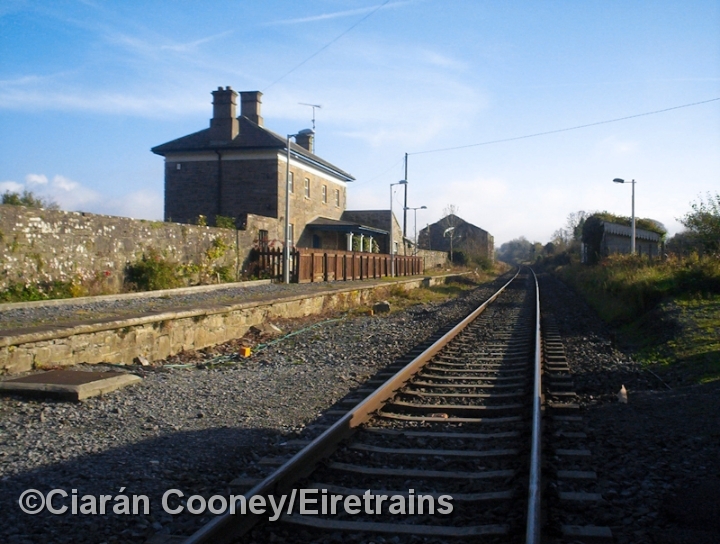 The station here, which still retains its MGWR station building, wooden waiting room, goods shed and signal cabin, was opened in November 1855, and was closed in June 1963. 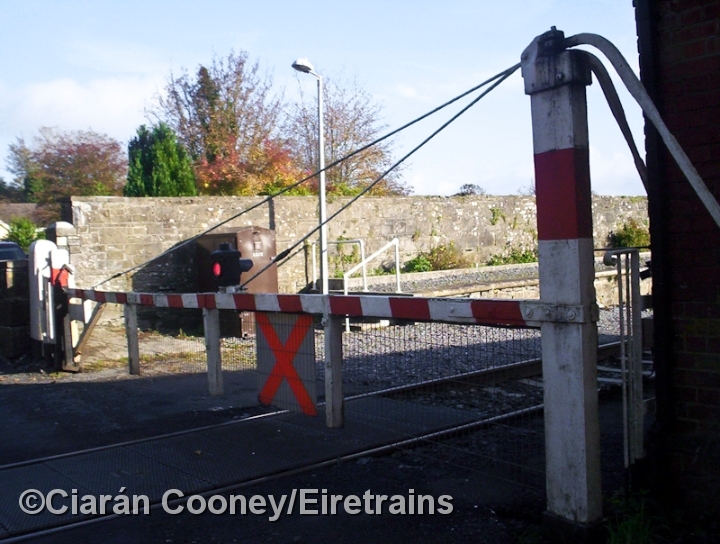 The station however remained a block post until 1983, retaining its loop and signal cabin. 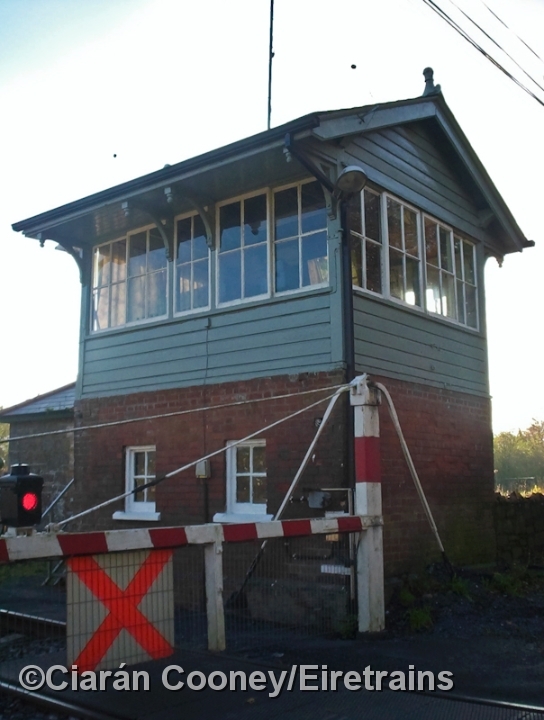 Today, the signal cabin still acts as a gate box guarding the adjacent level crossing at the west end of the former station.